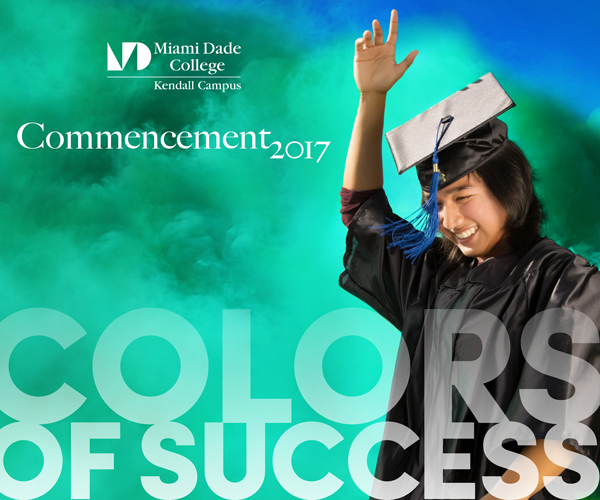 The photography and graphics below were created for the 2017 Miami Dade College Kendall Campus Graduation. 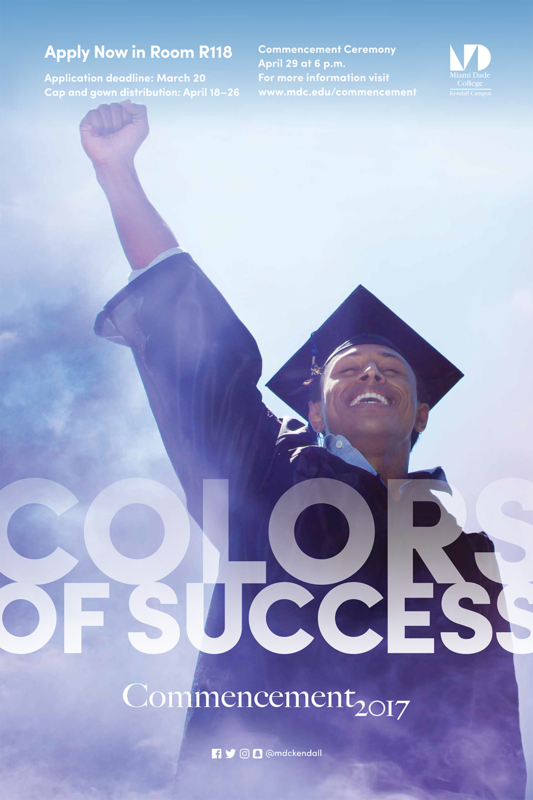 The campaign included print and digital marketing material, Grad Rally (pre event), social media, Music videos, lower thirds, print collateral. 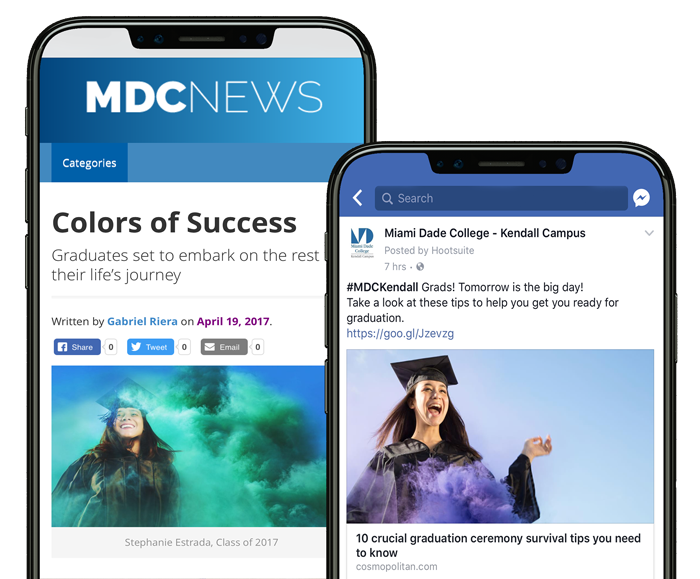 The "Colors of Success" Campaign was the featured graduation campaign for all 12 campuses, making the front page of MDC News. 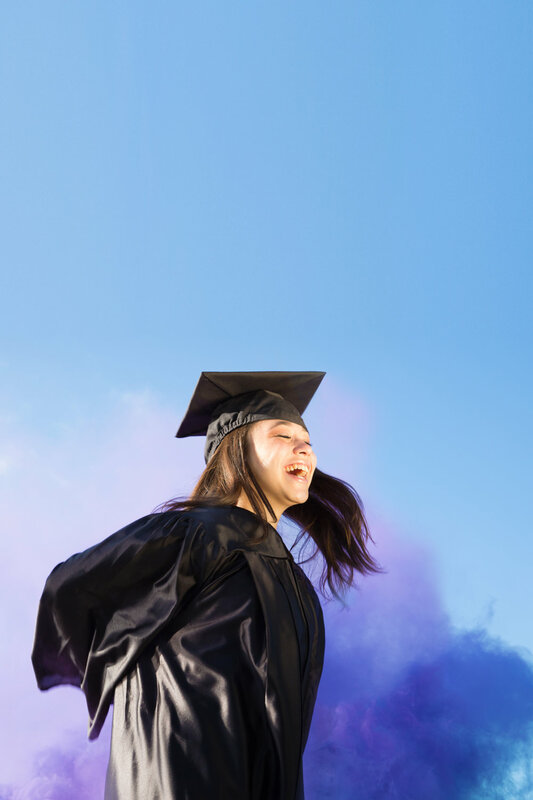 Reminder Stickers & Commencement General Admission tickets (above). 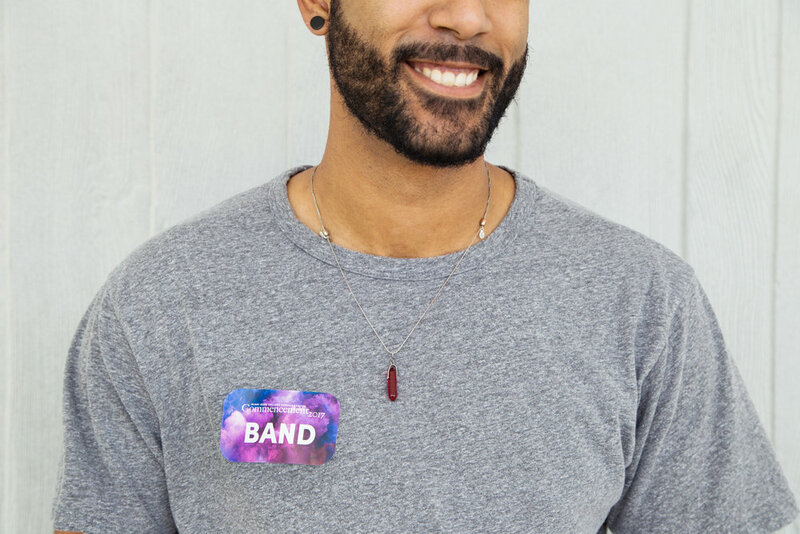 Band and Staff security badges for day of event (below). Backdrops designed and printed on canvas in house on large format printers.